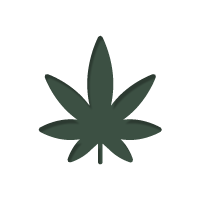 >Blog>Is Italy The Next European Country To Legalize Cannabis? ...signing in a motion that will take the country one step closer to officially legalising cannabis. It is great news, especially for those of you that live there. It shows how Europe is slowly changing, following in the footsteps of the USA. The proposal in question would see marijuana legalised, regulated and taxed, and it has the support of 60 of Italy’s politicians. Most of its support has come from the ruling centre-left Democratic Party, but it has also gained a lot of support from the conservatives as well, making for a strong bi-partisan case. Marijuana is already decriminalised in Italy, with possession often resulting in a civil fine. However, those seeking it out for medical purposes have nowhere safe to buy from, as the sale and growth of the plant remains illegal. If passed, the new law will abolish this, and hopefully set up a new framework for safe and regulated retail sales. It’s all changing! The European legalisation movement is slowly making gains. Let’s hope this latest development doesn’t run into any problems!